Photos from my tour in Laos and Vietnam, 2016. Here with a distinguished listener behind my shoulder. 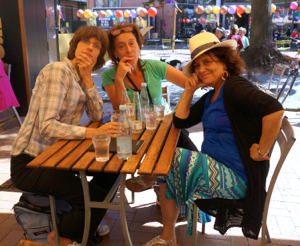 Photos from the H.C. Andersen Festival, Odense, Denmark, August 2015, which reveal exactly who these enigmatic storytellers really are! 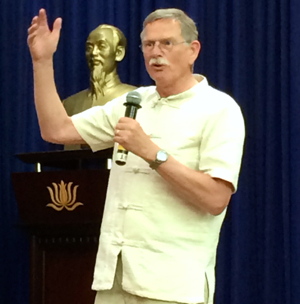 See photos from my tour in Thailand and India, 2015. 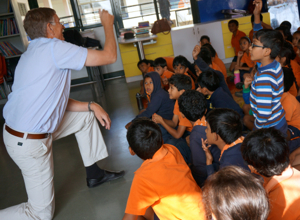 Here performing in a school in Bangalore, India. See photos from 5th Brixen International Storytelling Festival, November 2014. 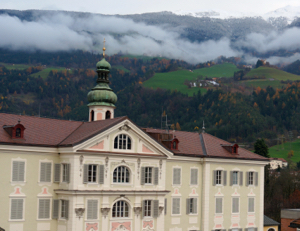 A beautiful town in South Tyrol, with the first snow touching the peaks of the Dolomites. See photos from Ljungby International Storytelling Festival, Sweden's major storytelling event. 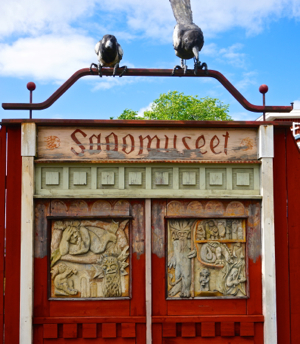 Learn more about the work of this wonderful museum and storytelling centre (this is the gate to the museum). Here is the 2013 programme. 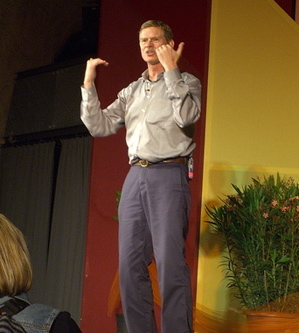 In Bangalore, India as part of the 2010 HOO's Tales Storytelling festival. See more photos of the week's work in Bangalore and Chennai. 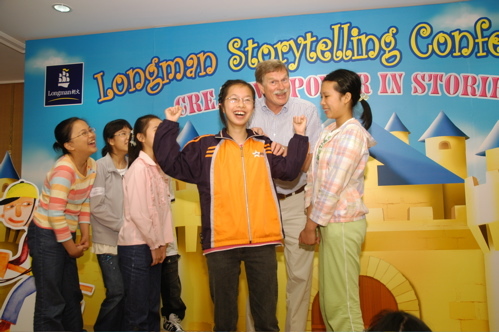 In the audience were not only the two to three hundred teachers there to learn about using storytelling in the classroom, but also some Hong Kong students who came to listen to stories. 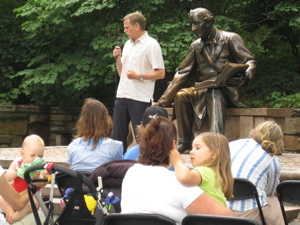 Every Saturday in the summer, Diane Wolkstein organised storytelling at the Hans Christian Andersen statue in Central Park, New York. On this Saturday, Diane's claim to have special guardian spirits for the rain proved completely accurate: as long as she, Julie Della Torre, Ken Setterington and I told stories, the heavy clouds were forbidden to let loose a drop. But as soon as I had finished my story of Free Melons, the rain fell with a vengeance! In Singapore secondary school audiences can be larger - my biggest so far: 1600. 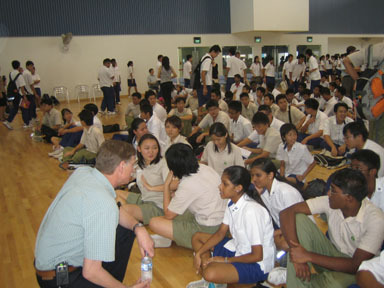 Yishun Secondary School: getting to know the listeners. 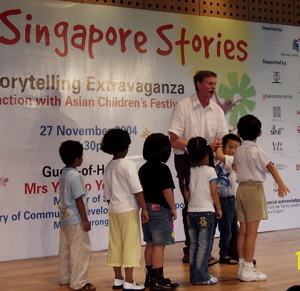 Another performance at Yishun School - 700 students enjoy the tale.